Fishing was always on my wish list during my stay in Australia. It came finally true in Hokkaido. While planning for this trip, I thought what could be better than having a giant salmon as your first catch. I planned a weekend Salmon fishing expedition to Shiretoko along with few newbie Japanese anglers. I was super excited but also petrified by the thought of holding a waggling fish in my hands.Read along to know how it turned out. We made a Mission Salmon to-do list and the first thing on this list was to get the right gear. For this, I went to Tackle Berry shop in Atsubetsu. I bought a used fishing rod (about 10 feet long), reel with 30-pound line, floats, and salmon special lures and hooks. It wasn’t expensive and the shop also gave me 10% discount after joining their mailing list. It cost me about 8000 JPY for everything. 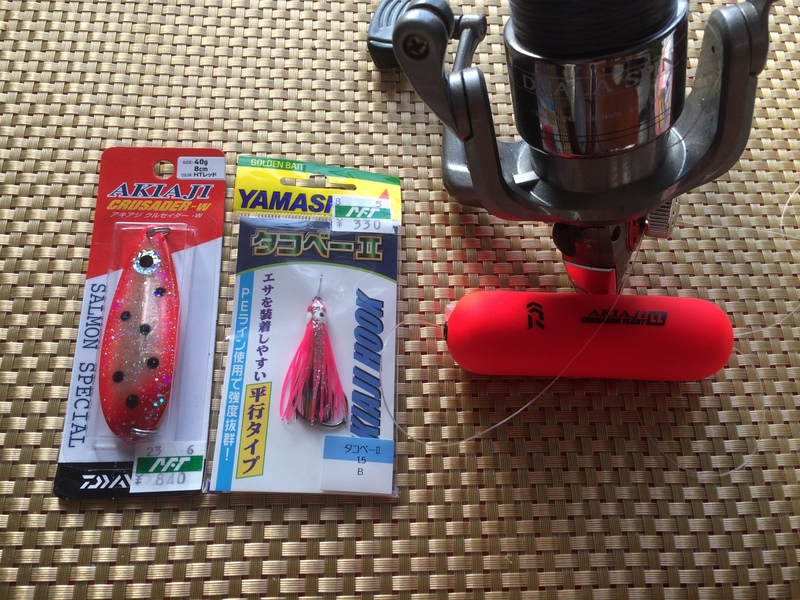 Another good place to get fishing gear is outdoor sports store Amegyo close to Sapporo station. I also bought some red squids and prawns as baits. The last thing I needed was a wader. Luckily, a friend had an extra one and that saved me a lot of money. We hired a car for our Salmon fishing trip to Shiretoko. Driving to Shiretoko from Sapporo takes about 7-8 hours and we wanted to reach before dawn to start fishing. We started for our trip on Friday evening and drove all night with occasional pit stops at the local convenience stores to stretch, reload snack stock and change drivers. After reaching Shiretoko, we managed to cast the first line at 5:00 am at a spot about 10 km north of Oshinkoshin waterfall. The first attempt turned out to be fish-less effort . After numerous unsuccessful attempts at different locations, we felt defeated and hungry. We drove to the Todowara Cafeteria (トドワラ食堂 ) in the beautiful Notsuke Peninsula for lunch. The view was amazing and the food was delicious. 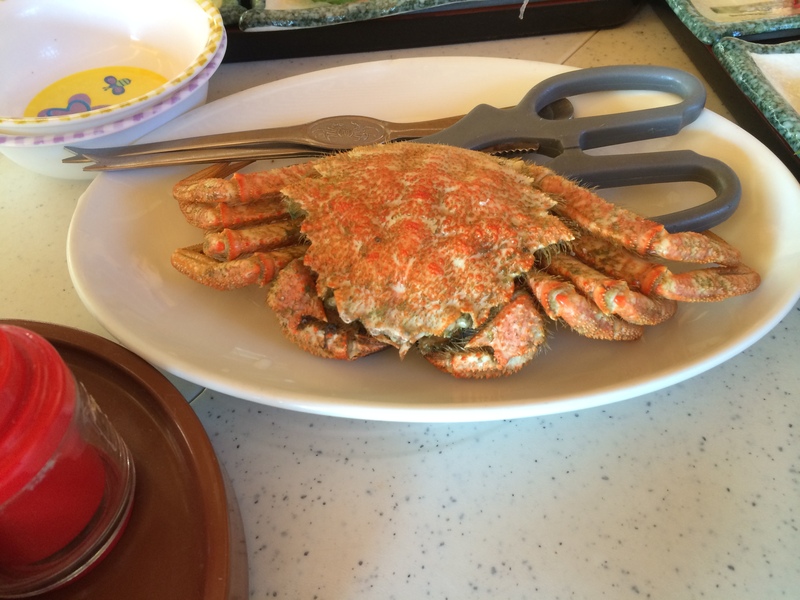 I ate a horsehair crab and a filling plate Kare rice, which certainly lifted my spirits. After lunch, we drove to a nearby port to try our luck again. At the port, seeing many anglers catching Salmons raised my confidence yet again. However, it soon went into the ditch again when no one in the group could hook a fish, let alone Salmon. I was disheartened and exhausted, and we decided to call it a day. We left for our cheap logwood cabins at Odaitofureai Camp-ground for the night. The cabin had nothing more than an electric socket for furniture. At 2500 JPY per night I didn’t expect much either. Sleeping bags can be rented from camp ground office. After checking in, went to the Otainuma Hot Spring to soak off our disappointment in the warm onsen. Later that night, I went to bed dreaming of catching a Salmon the next day . At dawn, the next day, luck did not shine again on any of us. While looking for a fishing spot we saw a commercial fishing boat unloading their catch of the day. To prevent a complete disaster of our fishing expedition, cheating was the choice left. We bought a pair of freshly caught Salmons for 5000 JPY. We went back to our campsite and cooked delicious Chanchan Yaki. Now, it was time for us to head to back to Sapporo. However, before that we stopped at the Kuma no-yu open-air onsen at Mt Rausu. It has no entrance fee with a segregated bath for women. Since, this is a natural onsen, the water was a tad hotter than the onsens I have been at various hotels. Kuma no-ya Onsen is not too far from the main road, and the men’s section is slightly visible from the roadside. While driving back to Sapporo the only topic of discussion in our car was, why the fishes didn’t take the bait when they were leaping in and out of water right in front of our eyes? Perhaps, they too are shy of foreigners? And so, this was how the first fishing trip ended, with only body aches to follow later. A couple of months after the above mentioned disastrous trip, I wanted to give my fishing skills a second shot. 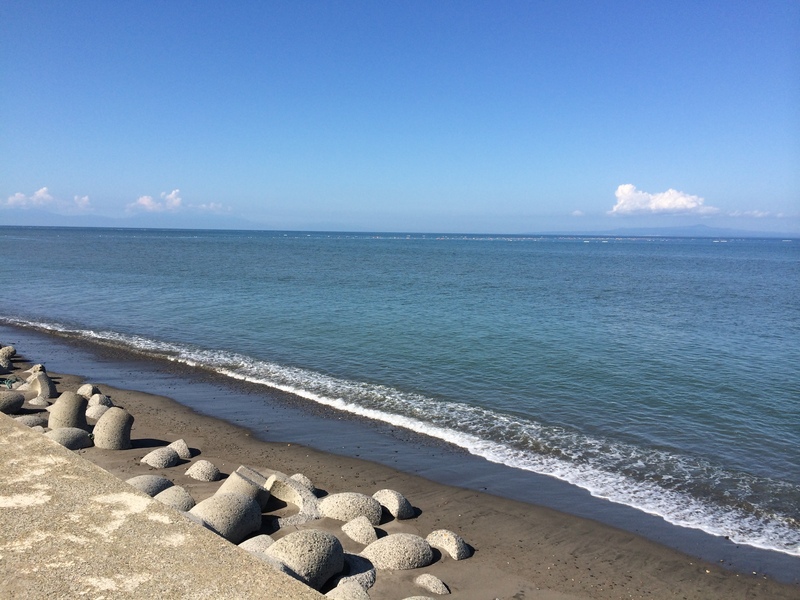 This time we went to Muroran and unlike the previous trip, this was a day trip. Again, the same bunch of we amateurs, hired a car and drove to Muroran at 2:00 am from Sapporo on Saturday morning. To save money on toll, we drove through the scenic lake shikotsku route. We reached Muroran at 6:30 in the morning and started fishing at the mouth of a river towards the south of Muroran. After trying for 3 hours at two different spots recommended by locals, we lost all our hope of catching a fish. However, then it happened, I felt a tug on the rod, and I hooked a Salmon. I slowly started reeling in and kept shouting to call my friends for help. I took a deep breath, realizing you only find success once you lose all hope. On our way back to Sapporo, we had a small stop at Lake Shikotsu and the scenery was breath taking. We brought the fish to Sapporo in a freezer and finally a self-caught fish ended up on our dinner table. My Salmon fishing expedition, gave me new hopes and I am now excited to try my hands on Ice fishing in winter. Are you good at fishing or tried your hands before? Share your fishing by commenting below.